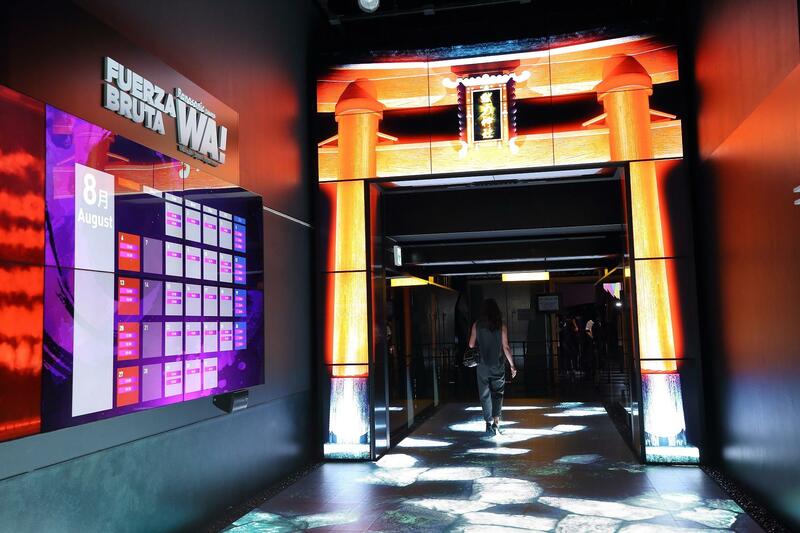 The experience-type entertainment, Fuerza Bruta's "Panasonic presents WA! 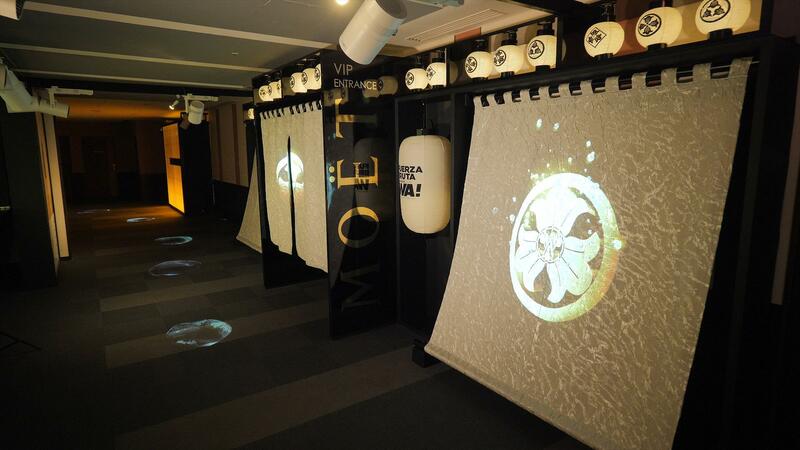 - Wonder Japan Experience" (sponsored by WA! Japan Performance Production Committee) has just begun at the Stellar Ball in Tokyo from August 1, 2017. 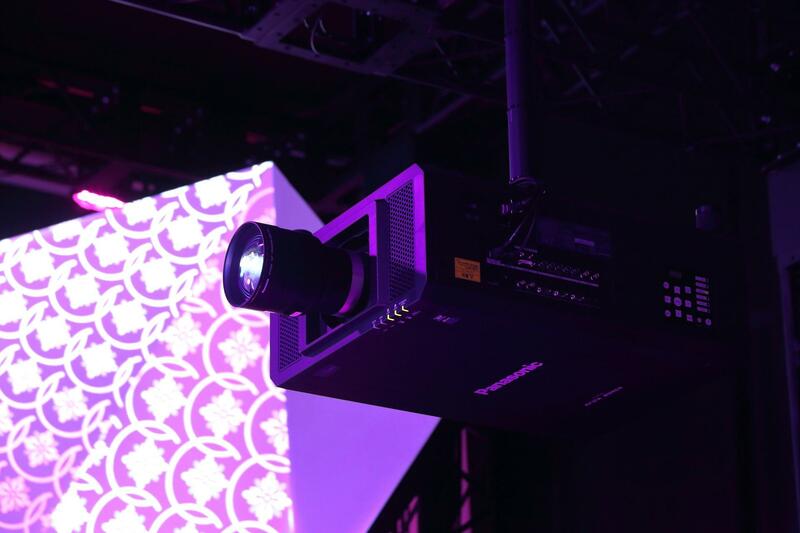 Panasonic is a major co-sponsor and provides technological support as well as financing to the production, which includes a trial of Panasonic's spatial performance solutions that focus on video and moving images. Fuerza Bruta has already been experienced by over 5 million people around the world, having been performed in over 60 cities in 30 countries, including a long run Off-Broadway in New York City, USA. Their new creation, an original performance based on the theme of "Japan," is on stage at the Stellar Ball in Tokyo for a two-month run until September 30, 2017. Panasonic created this stage as a showcase with the hope that people from the entertainment industry as well as other fields will come and see the show and experience the value that an entire space created by images can offer. 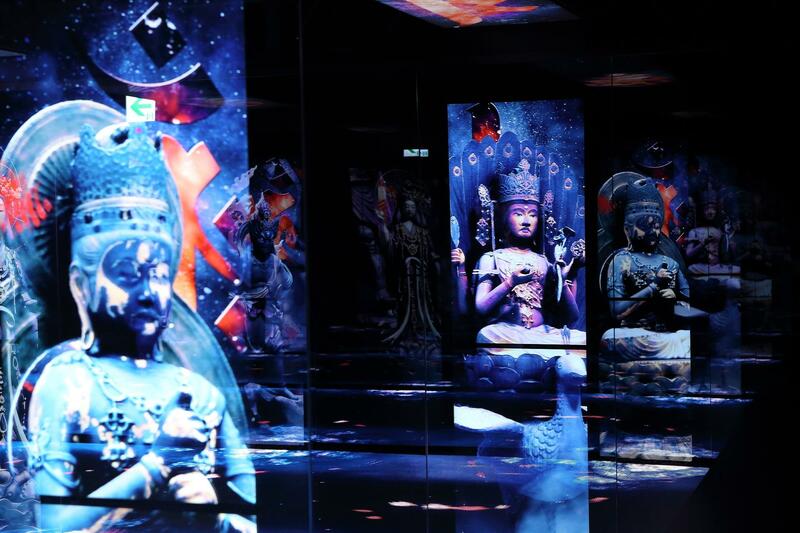 In the entrance, Panasonic set up pillar-shaped signage using 34 display and an LED floor which is together showcases various content to give guests a taste of the world of fantasy they are about to enter. 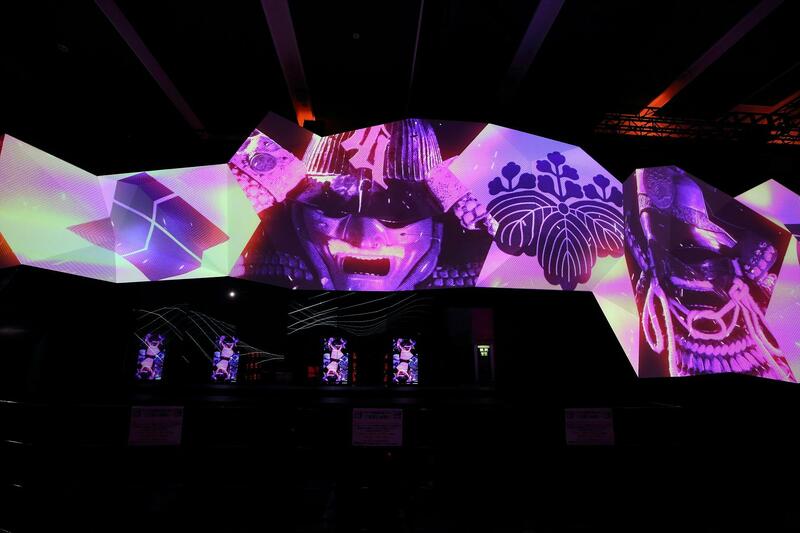 In the hall, Panasonic has combined 7 DLP projectors and 13 LCD displays to create an amazing, massive space where guests can experience a stunning visual performance. These solutions are composed with the company's original system "AcroSign(TM)" that can deliver content on schedule, in combination with image sensing, etc. and it can also deliver content effectively, when the content is truly desired. This ultimate entertainment experience features performers flying about freely in three dimensional space surrounded by light and music as led by Artistic Director Diqui James, world renowned for performances that are not confined to pre-existing norms. 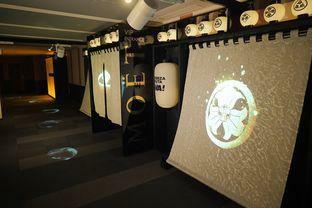 Panasonic holds the worldwide No.1(*) share of high-brightness projectors over 5,000 lumens, and the theater uses eight of Panasonic's PT-RZ970JB 10,000 lumen (Center) professional projectors in the performance. 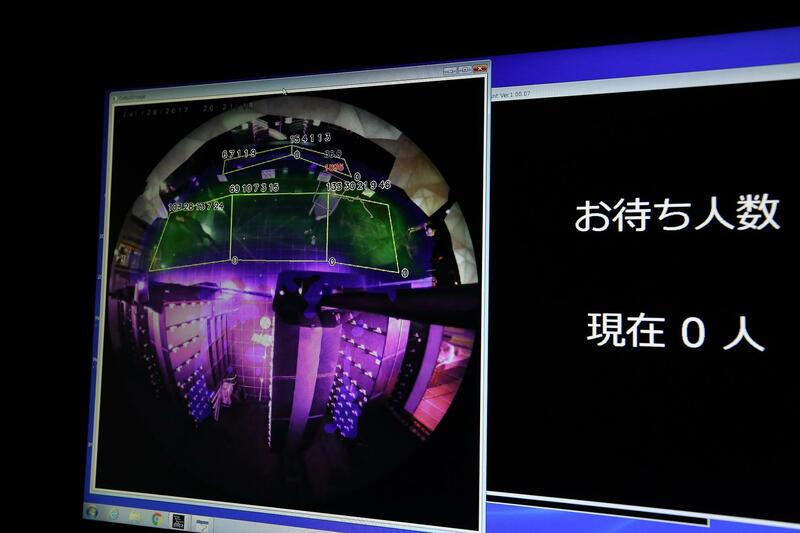 Panasonic also installed a security camera in the center of the lobby which is not to monitor, but to detect where guests are located. When there aren't many people in the merchandise section, the system can show content that encourages guests to go shop. The signage also interacts with people. "As far as I'm aware, it's the first time for a company from a completely different field to become involved in the development of entertainment, of a show, and to even make an investment. I think it's quite rare to use cutting-edge digital technology to create such a performance that perfectly reflects the theme. 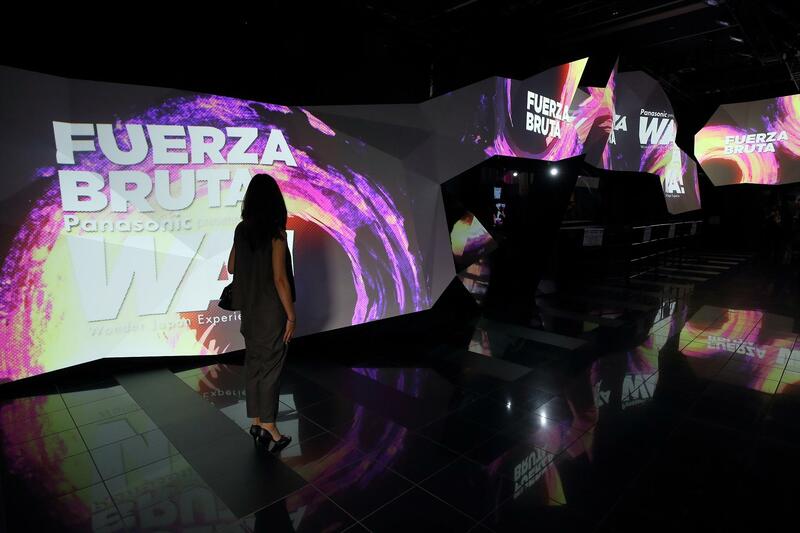 In addition, the creator of Fuerza Bruta, Diqui James is also really pleased with this lobby. We're very happy that he is." "This is true for any business, but customers come first, and so it's vital to understand their needs and continuously provide solutions that meet such needs. The word, co-create is often used, but we hope to continue to demonstrate how Panasonic co-creates through tangible projects." 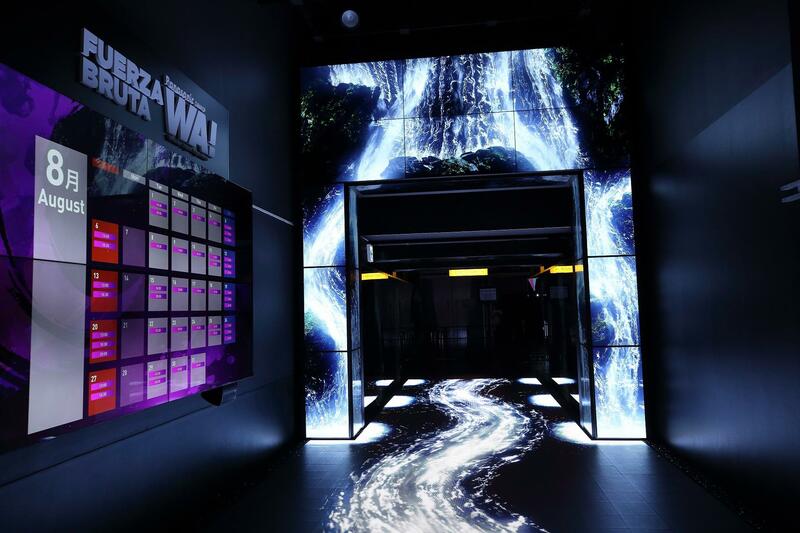 Panasonic will contribute to the entertainment industry by making full use of its visual, audio, and sensing technologies to provide customers with fun experiences inside and outside of the theater. *As of December 31, 2016. Researched by Panasonic with data provided by Pacific Media Associates.